The most important element of frying is the oil temperature. The food gets greasy when cooked at low heat, but gets burnt when it is too high. The ideal temperature for frying is said to be at about 170 degrees C, but this is a guideline for cooking tempura. 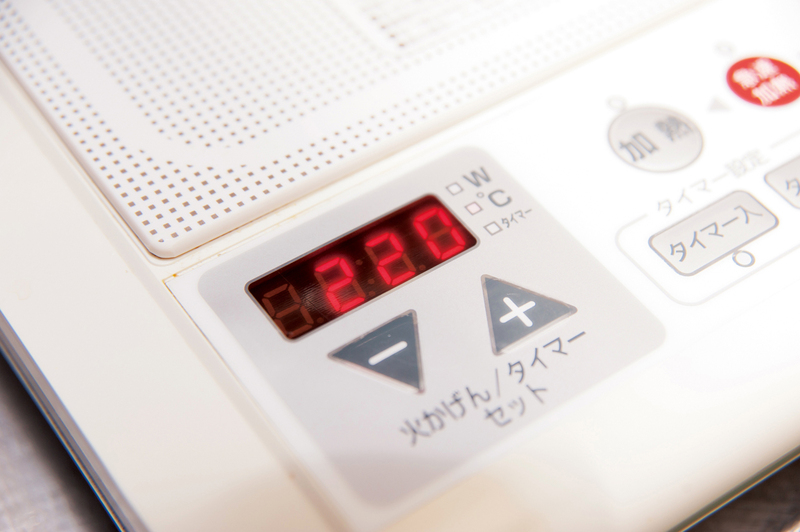 Of course its appropriate temperature differs depending on the material as well as the amount of food to cook. It could be a little lower when you fry 3 pieces at a time, but 10 pieces altogether may drop the oil temperature, so it should be set high beforehand. Any part of tuna without muscle will do. 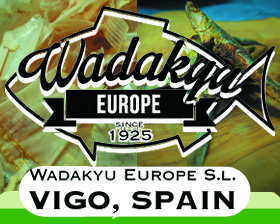 It is a new sensational fry of a kind fresh enough to eat as raw sashimi. 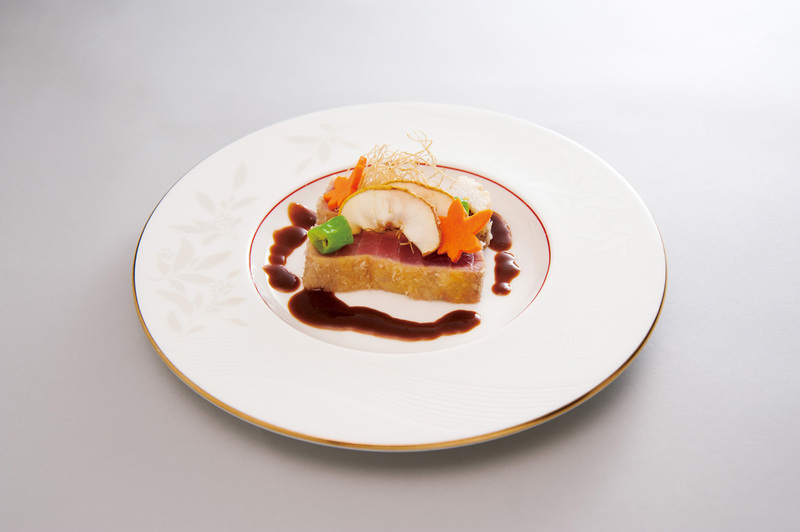 This time, the prawn anchovy sauce is used, which has the thickness of prawn flavor and the salty anchovy taste, but wasabi soy sauce would also be a great combination. 1. 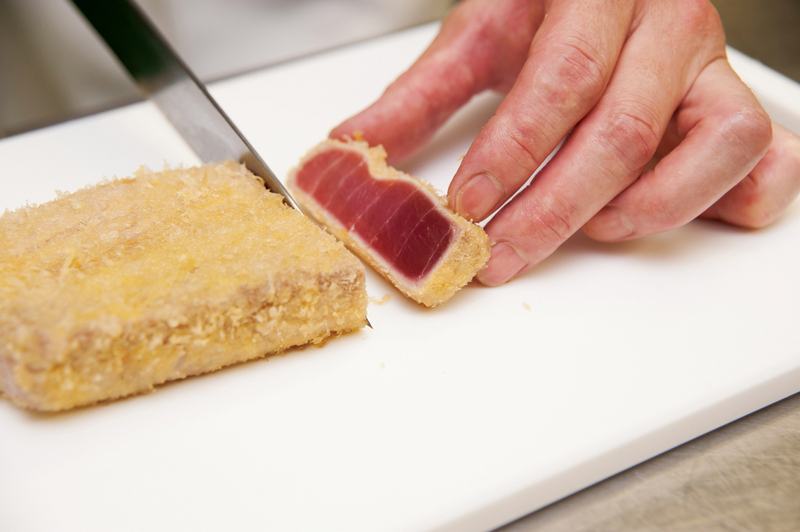 Sprinkle salt and pepper over the tuna right before deep-frying. 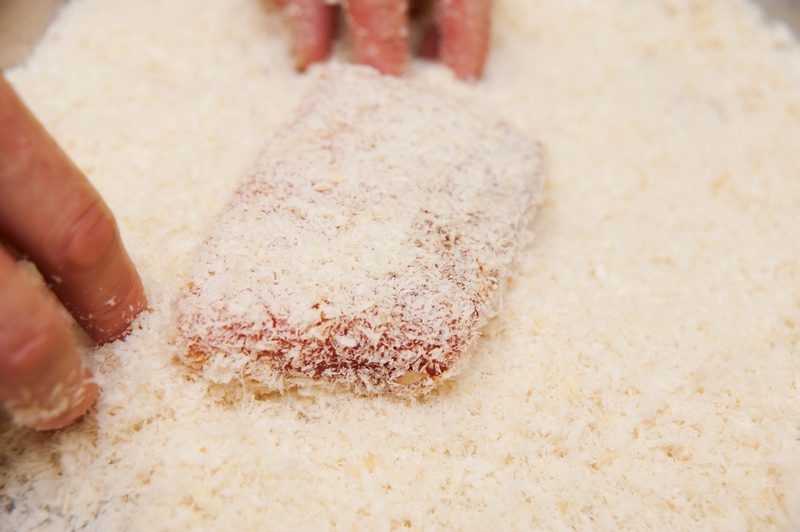 Cover it with flour then dip in the egg wash and bread crumbs. Deep-fry at 220 degrees C for 10 seconds. The inside remains rare while being crunchy on the surface. 2. 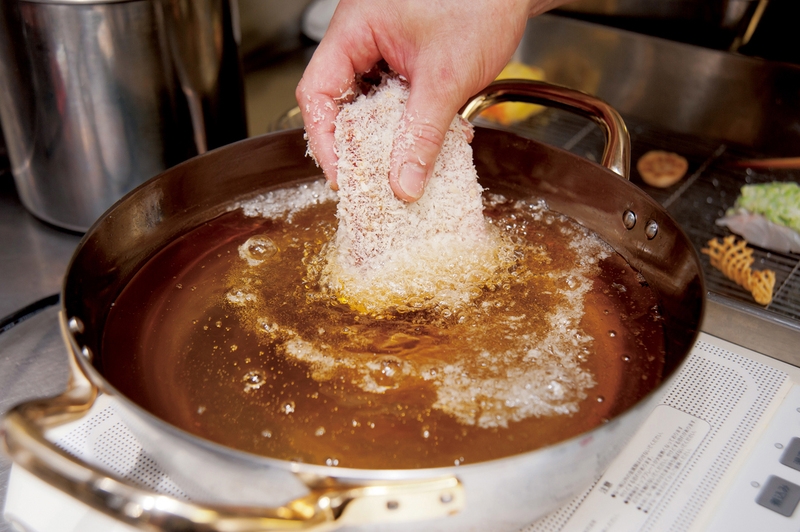 Thinly slice the edible burdock like hair, deep-fry at 160 degrees C. Lightly sprinkle salt. 3. Slice the apple into a 3mm thinkness after removing the seeds. Place the slices on the gridiron and in the heating cabinet set at 60 degrees C. Flip occasionally until crunchy. 4. 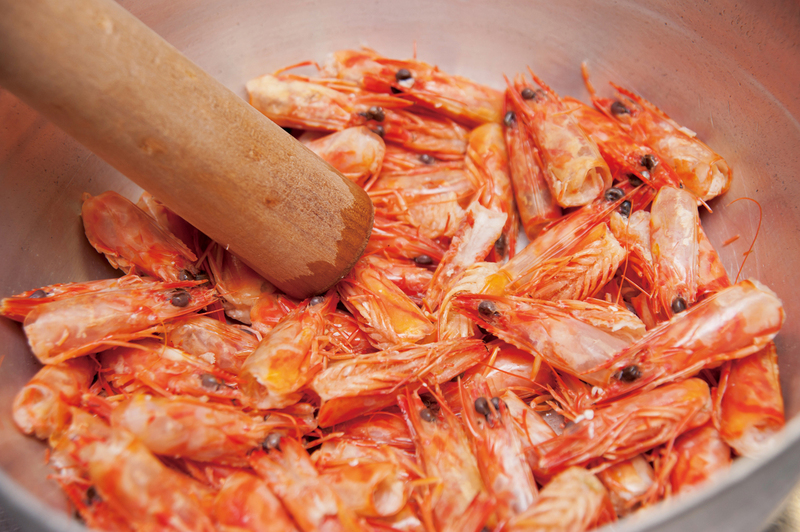 For making the prawn and anchovy sauce, grill the head of a boiled tiger prawn in the oven until the surface gets slightly burned. Put them in a pan, mash up with a mortar. add 180cc sake, 180cc water to boil for 15 minutes. After straining with a siv, put back in the pan and boil gently half way through, then finish with the pasted anchovy, fresh cream, and prawn innards with a mixer.